Jennifer Hurley: OTR/L is a registered and licensed occupational therapist specializing in pediatrics and school aged children. She is certified in Sensory Integration through University of Southern California and Western Psychological Services and has worked in private practice, school districts, and Lucile Packard Children’s Hospital at Stanford. Prior to becoming an OT, Jennifer spent most of her life in the gym as a competitor and coach in the sport of gymnastics, giving her over 20 years experience working with kids of all abilities. Jason Janes: Originally from New York City, Jason has travelled all around the globe, finally settling in San Jose. He began working with The Sensation nation June 2012, and has been a valuable asset since. 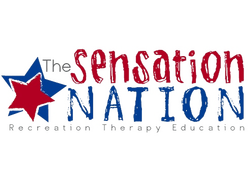 In addition to being part of The Sensation nation team, Jason teaches children with autism during the day. He feel as if he’s finally been able to find his dream job. Cassandra Hawthore: Cassandra is 22 years old and is originally from the Daly City, CA. She received a Bachelor’s degree in Recreation Therapy in the Spring 2014. She has been a coach for Sensation Nation since 2012. During her spare time, she volunteers at Veterans Affairs Hospital Palo Alto. There, she works in the Poly-Trauma Recreation Therapy department, where she is gaining valuable experience. When she’s not working or in the classroom, she love visiting with her family, watching movies, basketball and working out. I hope to become a successful certified practicing Recreation Therapist in the near future.